Karen and Michael Altavilla gladly left the frozen winters in Pennsylvania for a golf course-facing home in sunny Solivita. Michael Altavilla glimpsed his future during a visit to Central Florida in 2007. During a weeklong golf trip with friends and family, Altavilla found himself at Solivita, a 55-plus community west of Kissimmee. “He stood on the bridge — that we now can see from our lanai — with his brother and said, ‘I’m going to retire here someday,’” recalled wife Karen. Nearly a decade later, Altavilla’s prediction came true. In 2016 the couple packed up and moved from the cold north of Lehman, Pennsylvania, to the Sunshine State. “We were tired of the cold, snow and ice,” Karen says. They gladly replaced the frozen winters with a comfortable home on the 18th hole, good friends, year-round outdoor recreation — and a relaxing lifestyle for the young retirees. Michael, 61, retired five years ago from his job as a sales representative for a national consumer-goods company; Karen, 56, had worked for an interior designer. While Solivita may have been their first choice, they considered other communities as well. Just as the Altavillas discovered, Central Florida hosts a number of 55-plus communities that are carefully designed to meet the needs of active adults who have no intention of shifting their lifestyles into slow gear. “The baby boomers are driving changes in expectations for active-adult communities,” says William Bullock, division president of Minto Communities, developer of Latitude Margaritaville, a new active-adult community in Daytona Beach. As more of the country’s 75 million baby boomers, born between 1946 and 1964, reach retirement age, 55-plus communities are more popular than ever. The U.S. Census projects baby boomers will make up 25 percent of Florida’s population by 2020. “The country’s demographics are the driving force for 55-plus communities,” says Tom Eleazer, sales and marketing vice president for Arlington Ridge Homes, developer of Arlington Ridge, an active-adult development in Leesburg. Florida, notes Eleazer, continues to be favored by retirees because of its low taxes, good weather and good transportation corridors to the Northeast and Midwest. Central Florida puts out the perfect welcome mat. The highway system provides easy access to other parts of the state, including its beaches, ocean ports and international airports. Taxes may be lower in Florida than elsewhere. Just as significant to today’s active adults are such perks as access to water and other outdoor recreation opportunities, such as hiking and biking trails. Also high on the must-have list are education, culture, healthcare and attractions. “Older adults are experiencing a profound increase in longevity, when compared to their parents and grandparents,” says Dr. Richard Tucker, professor emeritus of Psychology and Aging Studies at the University of Central Florida and the former UCF liaison to the Learning Institute for Elders (LIFE) at UCF. Lifestyle is now considered the best predictor of healthy and active aging. One of the largest studies of older adults showed that lifestyle may impact as much as 60 percent of the aging process. Other researchers have clearly shown the importance of activity, social interaction and stress management as the leading contributors to successful aging. In many cases, Central Florida’s 55-plus communities can provide the tonic for the active adult who wants to live healthy lifestyles. Here are a few examples. Single-family homes and villas priced from $174,990 to $374,990, with sizes ranging from 1,295 to 2,840 square feet. Homes have large pantries, open floorplans, gourmet kitchens and entertainment areas. Located in Polk County, near the Osceola County line. taylormorrison.com. 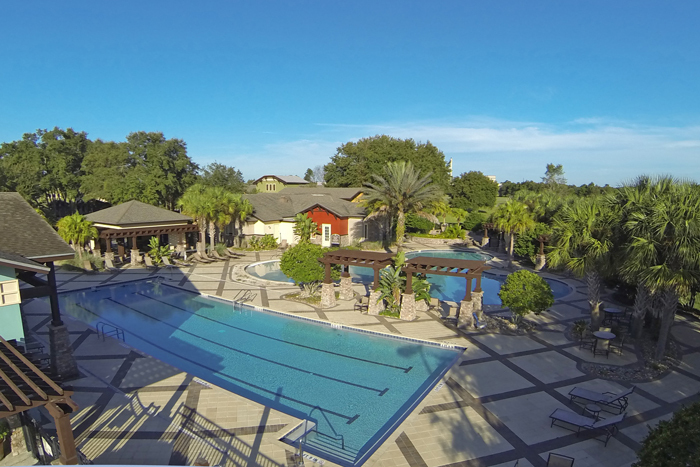 With its first home built in 2000, Solivita is one of the oldest active-adult communities in Central Florida. Developed by Taylor Morrison, there are currently 4,600 homes in the gated community. Plans call for 5,600 at build-out. At Solivita, typical buyers are pensioned retirees from the Northeast or locals from Central Florida, says Larry Mull, vice president of sales for the company. Community amenities include resort-style features, a full-time lifestyle staff, a golf course, spa and fitness centers, tennis and pickleball courts, a softball field, restaurants, a dog park, an art gallery and a ballroom. Mull says residents who move to Solivita find “great value, established amenities and group organizations.” That’s just what the Altavillas found when they relocated in 2016. The Altavillas bought a home with an open floorplan for entertaining and added a casita and a courtyard. Karen learned to play pickleball, plays softball and has taken water aerobics and drum lessons. Michael plays golf, shuffleboard and bocce ball. They enjoy the community’s car shows and festivals. Villas priced from $253,990, with sizes ranging from 1,503 to 1,862 square feet. 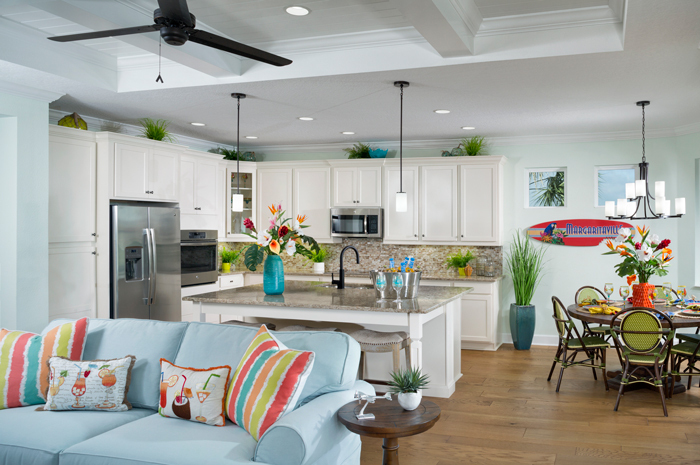 Homes have two bedrooms, a den or hobby room, two baths, a covered lanai and two-car garage. Single-family homes are priced from $298,990, with sizes ranging from 1,684 to 2,564 square feet. Homes have two to three bedrooms plus den, two- to three-car garages, two to three-and-a-half baths and covered lanais. 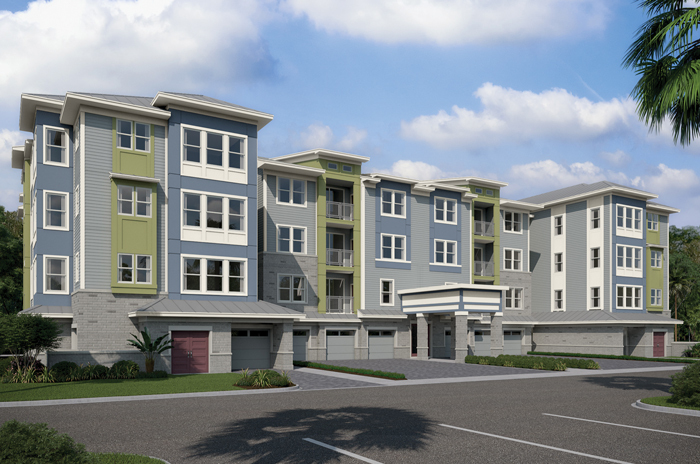 Located in Daytona Beach west of I-95 at LPGA Boulevard. Visit latitudemargaritaville.com. Developed by Minto Communities and Margaritaville Holdings, the Jimmy Buffett-inspired Latitude Margaritaville began construction in November 2018. Currently more than 300 homes are underway; plans call for 3,400 homes in the first phase and up to 7,000 by build-out on the 1,600-acre site. “Today’s active-adult homebuyer is looking for quality and value in a home as well as dining, entertainment, fitness amenities and wellness programs within their community,” says William Bullock, Minto’s division president. “They want to be near dining, shopping, entertainment, healthcare, educational opportunities and major transportation systems,” he continues. Homes in the community are designed for relaxing, entertaining and comfortably accommodating houseguests. They include hobby rooms and dens that can be used as home offices as well as master suites with two walk-in closets, raised height vanities and large walk-in showers in the master baths. In addition, each has two- or three-car garages for extra storage and for golf carts — the streets are golf-cart friendly. Bullock says Latitude Margaritaville homebuyers are health conscious and want to live in a community that provides resort-level amenities that promote an active lifestyle and social interaction with neighbors as well as easy access to amenities. • A town square with a bandshell for live music and dancing. • A bar and restaurant. 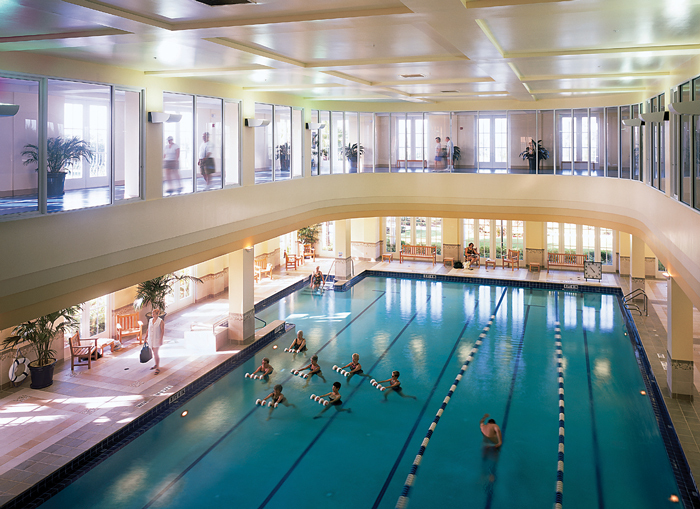 • A fitness center with an aerobics studio, an indoor lap pool, a spa, fitness classes and wellness programs. • Pickleball and tennis courts. • A community pool with beach entry, cabanas, tiki huts and a poolside bar. Single-family homes priced from $239,995 to $368,995, with sizes ranging from 1,772 to 3,006 square feet. Homes have open floorplans, outdoor living areas and gourmet kitchens. Located in Clermont just west of Florida’s Turnpike. Visit taylormorrison.com. Developed by Taylor Morrison, 4-year-old Esplanade at Highland Ranch will have 402 homes at build-out. Typical buyers are baby boomers who are retiring and want to stay active. They’re both local and from out-of-state, mainly from the North. Community amenities geared for active adults include an on-site lifestyle director for community events, a resort-style swimming pool with cabanas, tennis courts, bocce ball courts, a spa and fitness center, a dog park, and a clubhouse with a billiard room and a coffee bar. Buyers are attracted to the community for “the value that we provide in a boutique community in the pristine rolling hills of Clermont,” says Taylor Morrison’s Larry Mull. Single-family homes priced from the $220s to the $400s, with sizes ranging from 1,500 to more than 3,500 square feet. Homes have two to five bedrooms. Located between U.S. Highway 17-92 and I-4 in Deland. Visit cresswindvg.com. Developed by Kolter Homes, Cresswind at Victoria Gardens was founded in 2000 and is the 55-plus component of the larger Victoria Park master-planned community. Cresswind plans call for more than 1,000 homes at build-out. Buyers are attracted to Cresswind by the “open kitchen design, accessible storage, energy-efficiency, healthy construction and flexible spaces that can adapt as their needs change,” says John Manrique, marketing vice president for Kolter Homes. For example, he notes, a den may serve as a home office today but could be converted into another bedroom or yoga studio in the future. Manrique says the typical Cresswind buyer is a social, active person who enjoys being a part of a community that offers walkable neighborhoods, clubhouses with activities and opportunities to interact with others. Other amenities include on-site dining, pickleball, fitness centers and social spaces than can host a variety of clubs and parties. There also are experienced lifestyle directors to keep things bustling. In addition, Cresswind residents have access to all the amenities in Victoria Park, which include a golf course, a village center and a medical park. The location itself is a bonus. Notes Manrique: “Central Florida, especially Volusia County, gives you access to everything — beaches, attractions, parks, outdoor recreation, shopping, dining, culture, universities, sports and top medical care — in 30 minutes or less. Best of all, you can enjoy all this year-round at a solid value and with no state income tax — the lack of which has perennially made Florida attractive to retirees. Single-family homes priced from $270,990 to $340,990, with sizes ranging from 1,428 to 2,328 square feet. Homes have open floorplans, outdoor living spaces and 2.5-car garages. Villas, priced from the mid-$200s and ranging in size from 1,429 to 1,582 square feet, have recently become available. Just east of S.R. 429, north of I-4 in Kissimmee. Visit khov.com/fsorlando. Developed by K. Hovnanian Homes, gated Four Seasons at Orlando launched in 2017. Currently there are 105 homes, with 533 planned at build-out. Susan Moss, the company’s marketing manager, says that typical buyers are in their early 60s and are recent retirees. They’re often downsizing and are looking for a “sense of community and an active lifestyle with neighbors of the same demographics,” she notes. 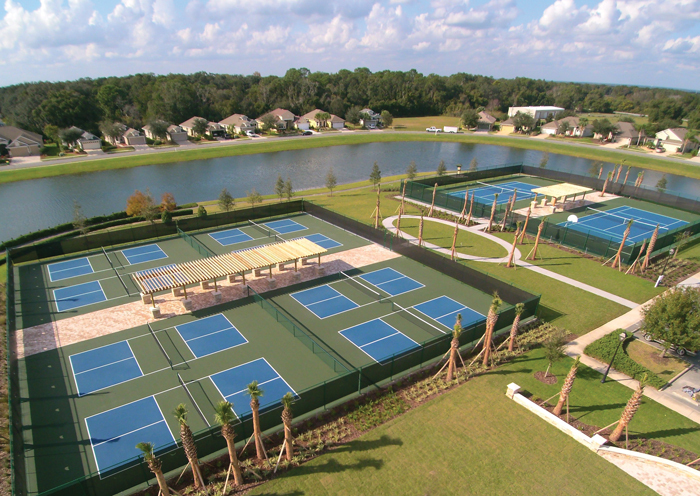 Community amenities cover more than 80,000 square feet of indoor-outdoor recreational space, encompassing multiple fitness facilities, a resort-style swimming pool with cabanas, tennis courts, and courts for bocce ball and pickle ball. There are also game rooms and an on-site activities director. She says that Four Seasons Orlando has many cash buyers, many from California or other areas of the country where the cost of living is higher than average. Single-family homes priced from $224,990 to $329,990, with sizes ranging from 1,540 to 2,295 square feet. 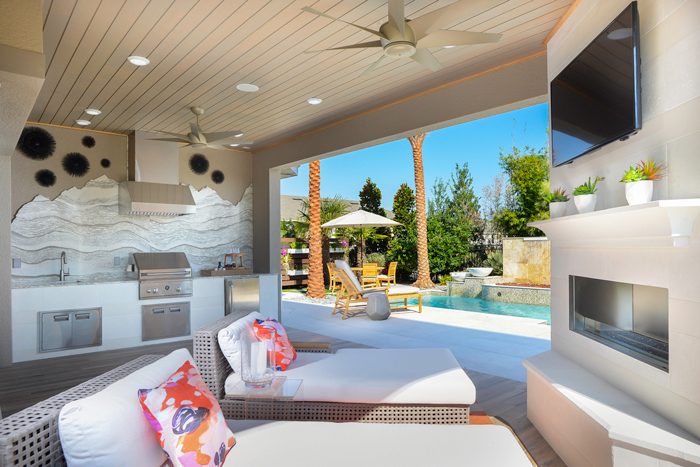 Homes have expanded great rooms, integrated indoor-outdoor spaces and multifunctional spaces. Just south of Florida’s Turnpike in Groveland. Visit trilogylife.com. Shea Homes bought Trilogy Orlando from a previous builder in 2010. Today there are more than 700 homes, with a total of 1,147 planned at build-out. 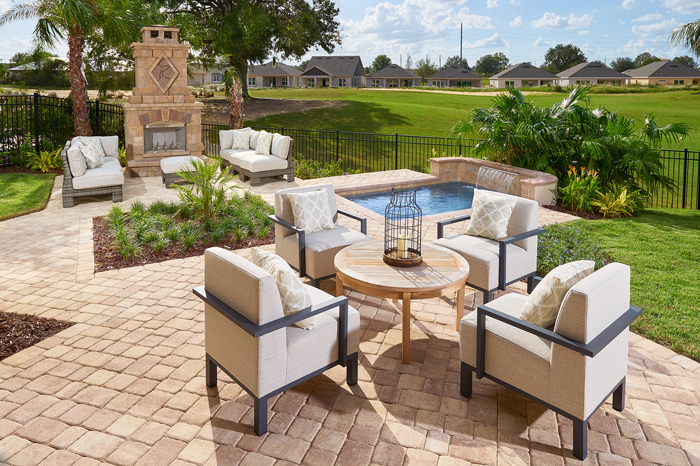 “Trilogy buyers are typically expecting more than the standard amenities within a traditional community,” says Michael Fraley, Florida area vice president for Shea Homes. He noted that residents have full access to the community’s 57,000-square-foot clubhouse, an indoor and outdoor resort pool, a culinary studio designed for chef demonstrations and private events, a modern day “man-cave” that serves as a sports escape, an artisan studio, a state-of-the-art fitness studio and a restaurant. Hospitality-trained resort teams oversee planned activities. Single-family homes priced from the $190s to the mid-$300,000s, with sizes ranging from 1,700 to 2,500 square feet. Homes have luxury finishes such as granite or quartz countertops, laminate flooring, upgraded appliances, wider doorways, no stairs, walk-in showers and ADA-compliant toilets. Located east of Florida’s Turnpike, west of U.S. Highway 27, in Leesburg. Visit arlingtonridgeusa.com. Arlington Ridge Homes, an affiliate of Florida Leisure Communities, took over the Trilogy retirement community in 2014. Plans call for 1,046 single-family, duplex villas and townhomes at build-out. “Our typical buyer is a 60- to 65-year-old married couple who has sold a home up north and is looking for a Florida home in a community that makes it easy to make new friends,” says Tom Eleazer, vice president of sales and marketing for Arlington Ridge Homes. “Although many are golfers, others are more interested in various fitness activities and pastimes that we offer via our extensive amenities,” he continues. • An 18-hole championship golf course, two heated pools, a spa, fitness center, a large hall with a theater and catering facilities, and a full-service restaurant and tavern. • Easy access to shopping and medical care, major highways, international airports and attractions. • Gated and staffed around the clock. • Group activities and social events, fitness classes and golf clinics. In addition, he notes, buyers want a stable community with affordable fees where there are many activities from which to choose and opportunities to socialize. As the active-adult population expands, homebuyers and builders will continue to find a warm, inviting spot in the Sunshine State. “We believe the market for 55-plus communities will continue to be robust for the next decade and beyond because of the number of people in the U.S. reaching retirement age during this period,” says Eleazer. Single-family homes, many of which are waterfront or have water views, are priced from the $190s to the $500s with sizes ranging from 1,263 to 3,252 square feet. Off S.R. 44 near historic downtown Mount Dora in Lake County. Visit pringle.com or medallionhome.com. In Lake County, Pringle Homes and Medallion Home are building in a 55-plus community called Lakes of Mount Dora where most homes are waterfront or water view. It’s a gated community where “the casual Florida lifestyle allows residents to be as active or as laid back as they choose,” says Dale Roberts, chief brand officer with Dale Roberts & Associates, the company that handles marketing for the community. Home amenities include single-floor living, open floorplans, outdoor living areas, large master suites with two walk-in closets and large two- or three-car garages. In addition, buyers have the option of a summer kitchen with wet bar, refrigerator and grill. Many universal design elements can be incorporated with ADA-approved access, easy access light switches, smooth shower access and universal thresholds. Community amenities include an 18,000-square-foot clubhouse with a resort-style pool, a fitness studio, a library, and tennis, pickleball, basketball and bocce courts. There also are walking trails, club activities, and boat and RV storage. Of course, one of the top amenities is Mount Dora itself. 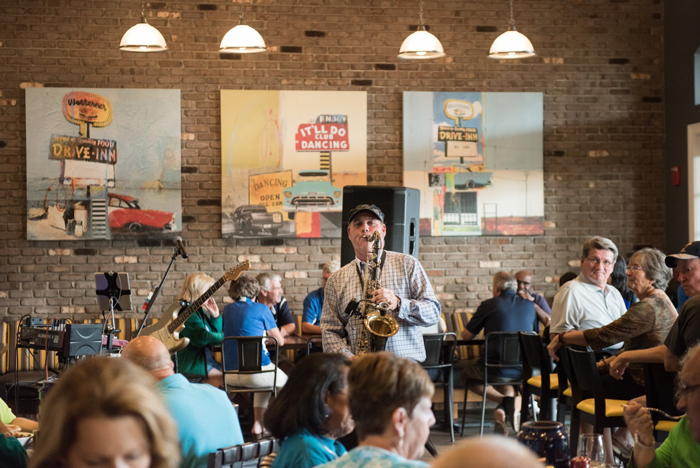 Nationally recognized for its historic downtown of shops and restaurants, the Lake County city stays busy with festivals and other events year-round. “Mount Dora is a highly sought-after, historic bedroom community of Lake County, just far enough from the city of Orlando and all of the attractions,” Roberts says. Single-family homes priced from the low $200s to the low $300s, with sizes ranging from 1,404 to 2,874 square feet. Homes are one-story and have open floorplans, spacious master suites, luxurious fixtures and inviting living areas. Located along U.S. 192 about 10 miles east of St. Cloud in Osceola County. Visit harmonyfl.com. Boomers who came of age in the ’60s remember plenty of wistful talk about living in harmony. Few figured they would literally live in Harmony — a place as well as a state of being. The Lakes at Harmony is a 55-plus neighborhood within Harmony, an 11,000-acre, master-planned community in Osceola County. The community is oriented around nature, with more than 70 percent of its acreage designated permanently as preserve areas. In the Lakes at Harmony, Lennar Homes is building approximately 400 single-family homes and is offering six models from which to choose. Homes in the gated community — all of which are one-story — are built with active adults in mind, boasting open floorplans and energy-efficient features. Most will offer golf-course views. Residents will enjoy a private clubhouse, with a zero-entry pool as well as a gathering room, a catering kitchen, a crafts area and a fitness center. A “sunset gazebo” overlooks the 14th green of the Audubon-certified Harmony Golf Course. Another plus: Lakes at Harmony residents will have full access to existing amenities, including, most notably, the 18-hole championship golf course and its well-appointed clubhouse and pro shop. Shopping is also convenient at the Town Square Marketplace, which features several restaurants. Harmony also has tennis, pickleball, and bocce ball courts as well as a dog park and 12.6 miles of walking and biking trails, among other amenities. There’ll be plenty to do in the Lakes at Harmony, with Zumba classes, themed dinners, and various special-interest clubs. An on-site activities director will help organize additional social functions and other community events. Condominium homes priced from $279,000, and ranging in size from 1,368 to 1,805 square feet with two or three bedrooms. Access-controlled buildings have private garages and covered balconies, with water views available. Located in southeast Orlando in the Lake Nona master-planned community. Visit beazer.com. Beazer Homes’ Gatherings of Lake Nona is the first 55-plus community in the Lake Nona master-planned community, located in east Orlando, where the company has debuted 216 low-maintenance condominiums complete with elevators and garages. A clubhouse is the center of activity, and there are plenty of amenities to keep residents fit and active. Outdoors, there’s a pool and patio along with sports courts and an inviting fire pit for evening get-togethers. The clubhouse features a fitness center as well as multi-purpose rooms for community gatherings and social events. If you’re feeling competitive, there are courts for pickleball or bocce ball. And your furry friends will love the on-site dog park. There are four floorplans from which to choose, with two or three bedrooms, two bathrooms and attached one-car garages. Each building offers elevator access from the ground floor along with private, covered balconies. All plans feature spacious master suites with walk-in closets, and bathrooms with stylish fixtures. A number of custom upgrades are available. Of course, one of Gatherings of Lake Nona’s biggest selling points is its location in Lake Nona, for decades one of the region’s premier addresses. It’s near the burgeoning Lake Nona Town Center as well as Lake Nona’s Medical City, with its new VA Hospital. Single-family homes and villas located in northwest Osceola County, near Lake Nona’s Medical City. Models and prices had not been announced at press time. Visit delwebbhomes.com. If there’s a name synonymous with active-adult living it’s got to be Del Webb, the biggest developer of active-adult communities in the U.S. Last year, Tavistock Development Company, developers of Lake Nona, announced that Del Webb would be the first builder in its 24,000-acre Sunbridge master-planned community in northwest Osceola County. Del Webb Sunbridge, a gated 55-plus neighborhood, will encompass 700 acres and could include up to 1,350 homes. Also planned is a 25,500-square-foot clubhouse with state-of-the-art indoor and outdoor amenities. A full-time lifestyle director will make certain that buyers are as active as they wish to be. A national brand of PulteGroup Inc., Del Webb will bring more than six decades of homebuilding experience to Sunbridge. Model homes are expected to open this summer, although the home choices and prices had not been released at press time. “Their track record of creating vibrant, active places will be a wonderful addition to Sunbridge,” says Rob Adams, vice president of residential development for Tavistock Development Company. Sunbridge will also encompass commercial and retail centers as well as a variety of neighborhoods aimed at buyers across the spectrum — not just 55-plus. The community will incorporate best practices and place-making principles from across Tavistock’s award-winning portfolio.